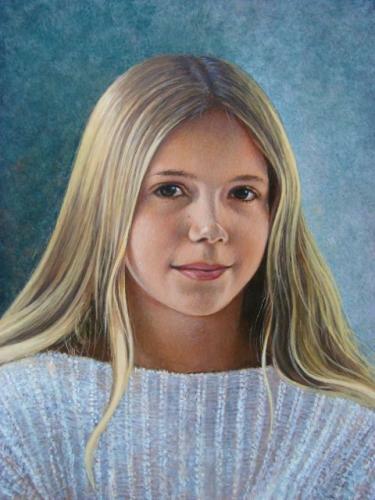 A portfolio of commissioned portraits. 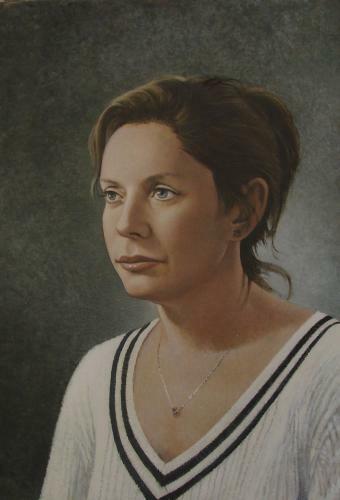 An egg tempera portrait of my late wife. TK or Terry Kerr on his last day as a "Fastway" courier before relocating to Palmerston North and a new job with better carreer prospects. 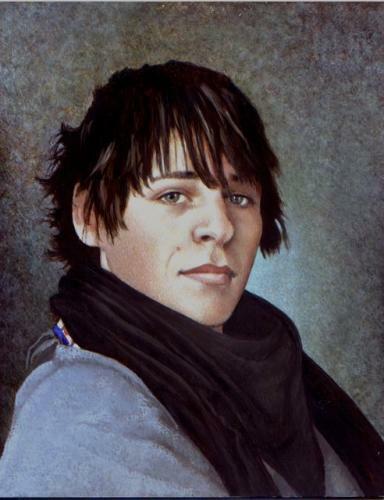 A small portrait of my son Anthony. 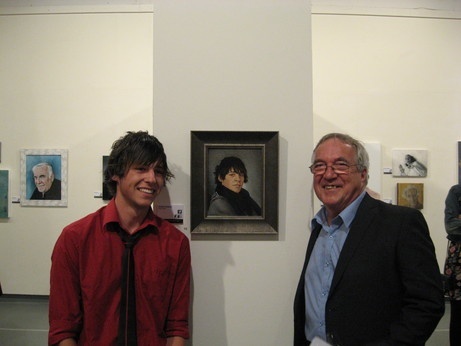 Terry Kerr (TK) and me at the opening of the 2012 Adam Portraiture Awards in the National Portrait Gallery, Wellington. 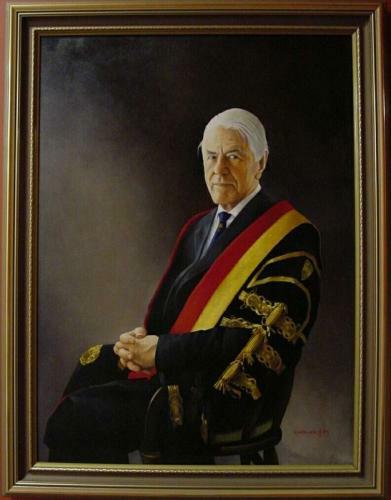 Portrait of Douglas Fraser on his retirement from his position as Chancellor of Victoria University, Wellington. 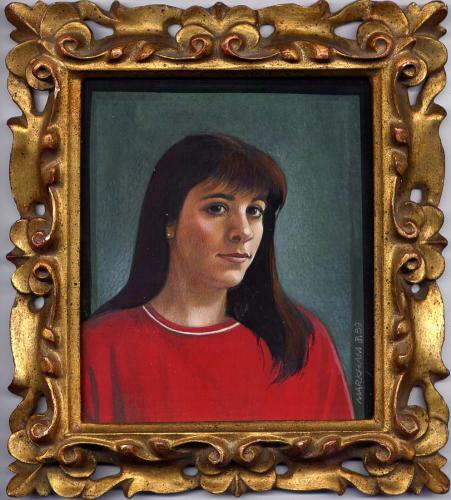 Collection of Victoria University. 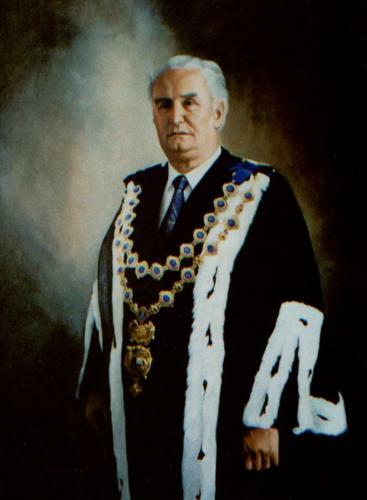 Portrait of Sir James Belich at the end of his term as Mayor of Wellington. 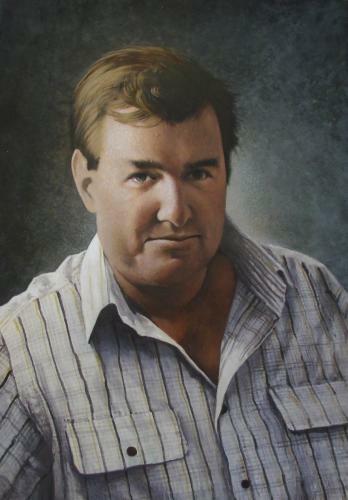 Collection of Wellington City Council. 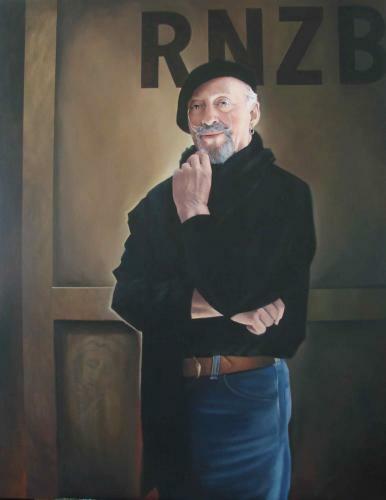 A portrait of Sir Jon Trimmer a long serving member of the Royal New Zealand Ballet. 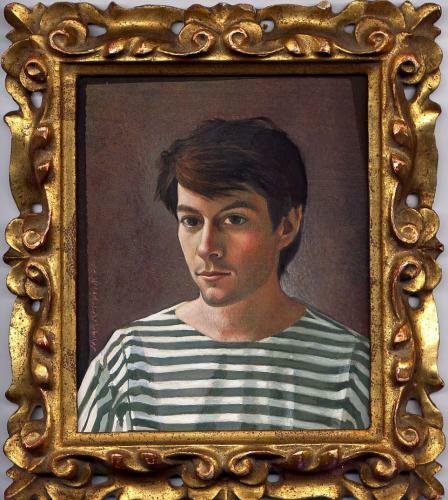 The portrait was commissioned by the New Zealand Portrait Gallery and now forms part of their permanent collection.